The Supporters Clubs World Confederation, the entity which encompasses the Supporters Clubs movement at FC Barcelona, will celebrate its 39th Supporters Clubs World Congress on August 13th, 14th and 15th. The first two days will see activities held related to leisure, such as the traditional 7-a-side football tournament, cards tournament and group dinner, with the intention of growing the bond between groups. These activities will be held at the Camp Nou facilities. On the final day, August 15th, the Supporters Clubs World Congress will be held, as well as the Gala Lunch. 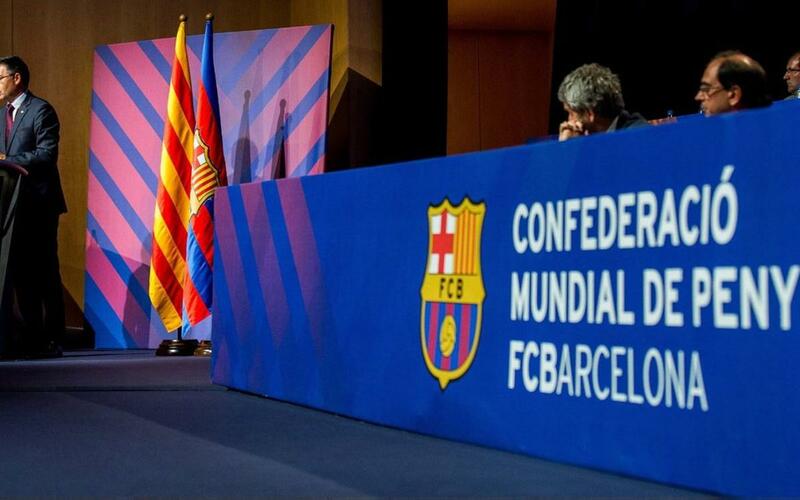 This is an institutional event organised by the Supporters Clubs World Confederation alongside FC Barcelona. The event will also be attended once again by FC Barcelona president Josep Maria Bartomeu and other club directors, such as Antoni Guil, president of the Confederation, and will take place at the Palau de Congressos Internacional de Catalunya. Finally, there will also be a Penyes Futbol Games Tournament which this year will feature Pro Evolution Soccer 2018 (PES 2018), from Japanese company Konami, a sponsor of FC Barcelona and the Confederation. To attend the institutional day as a congressist or guest, please contact your respective federation. The inscription process for the activities is open now, and members can sign up using the following form.